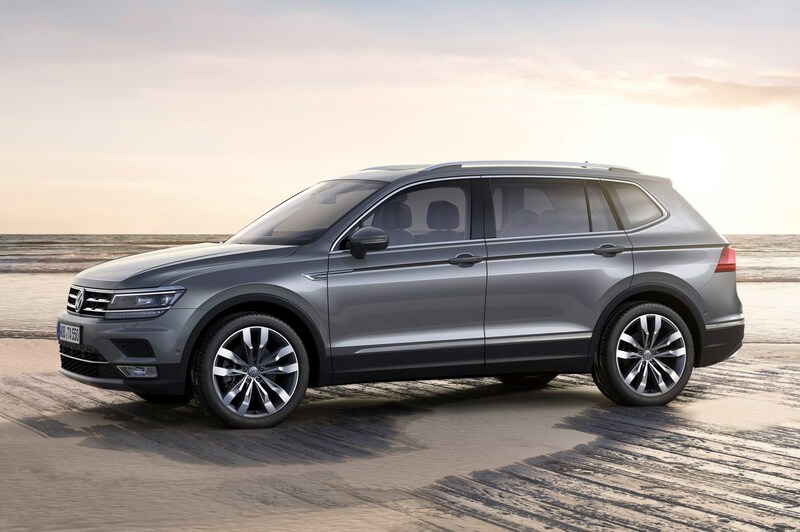 Volkswagen has built on the success of the five-seat Tiguan with this larger, seven-seat brother called the Tiguan Allspace. 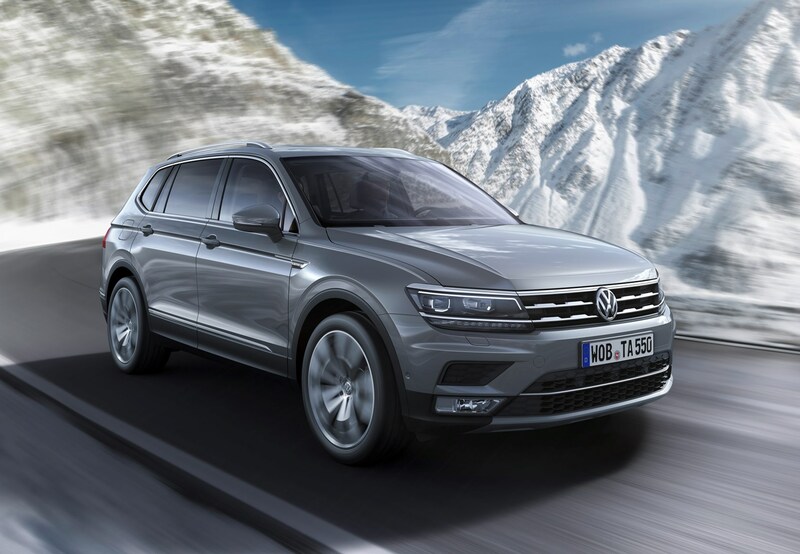 In doing so, the German brand has moved into the seven-seat SUV market, rivalling established contenders such as the Hyundai Santa Fe, Nissan X-Trail and Skoda Kodiaq. 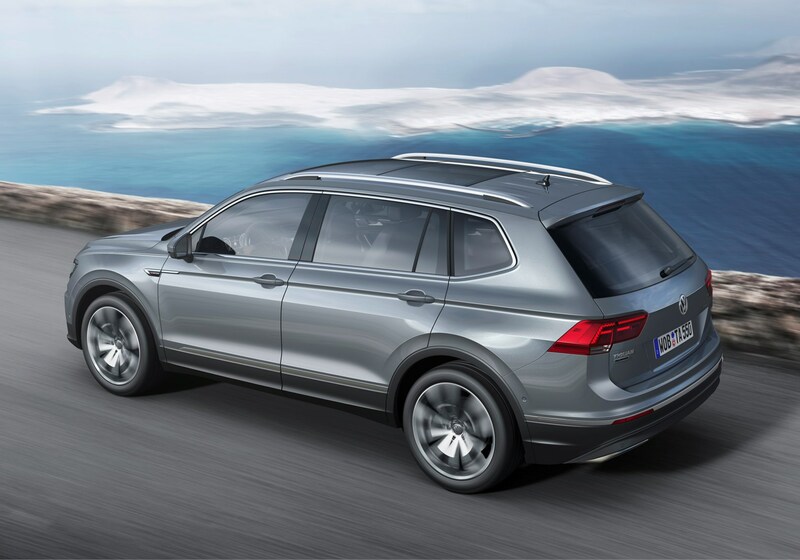 Compared to the five-seat Tiguan, the Allspace gets a 109mm stretch between the front and rear axle lines, and it's longer overall by 215mm. 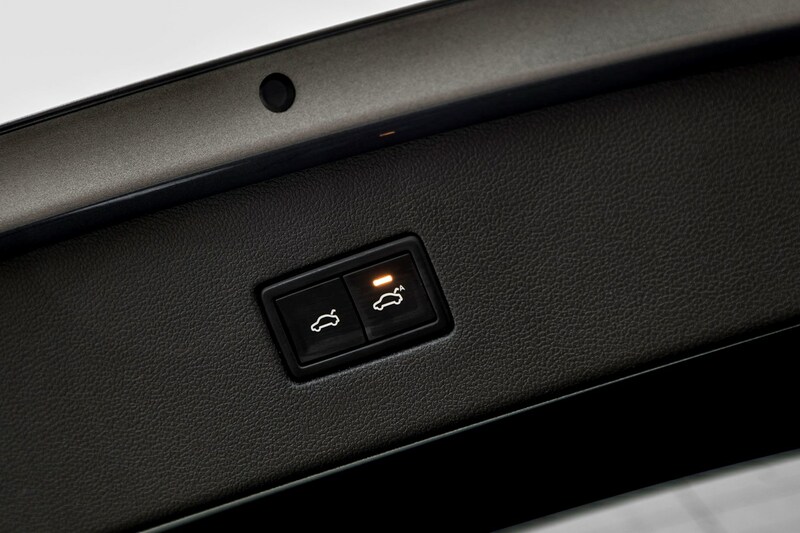 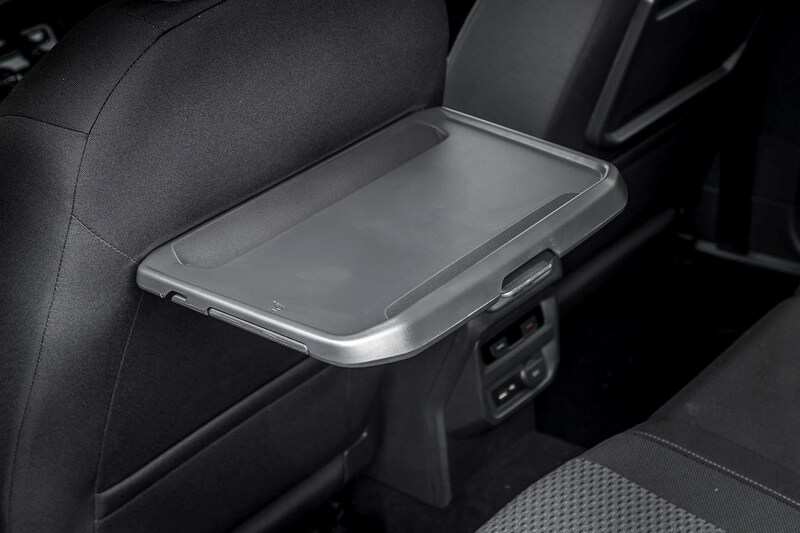 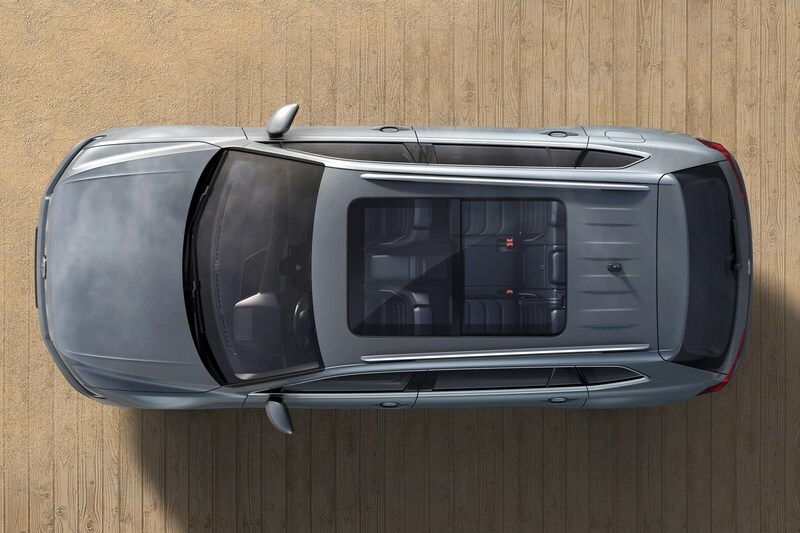 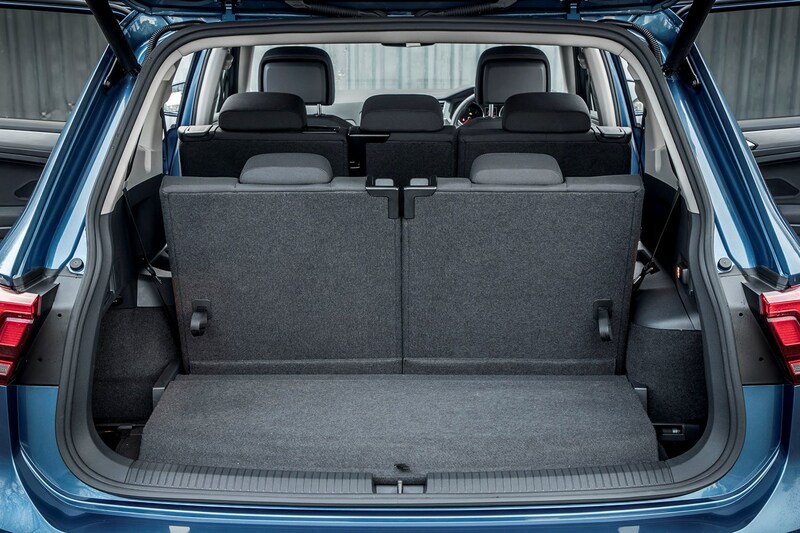 This means there's room for an additional pair of seats in the extended boot. 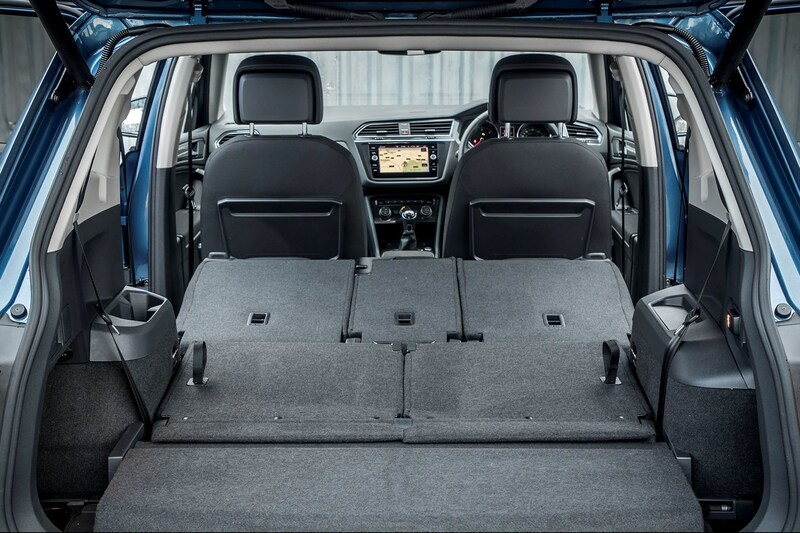 The headlines are that the luggage area has been expanded to 700 litres with the front two rows of seats in place, expanding up to 1,775 litres with the final two rows folded down. 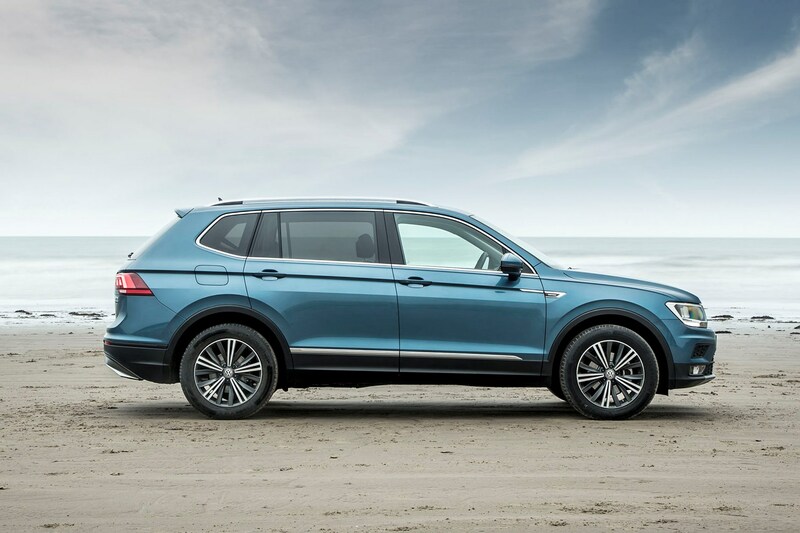 The standard Tiguan offers 615 and 1,655 litres respectively. 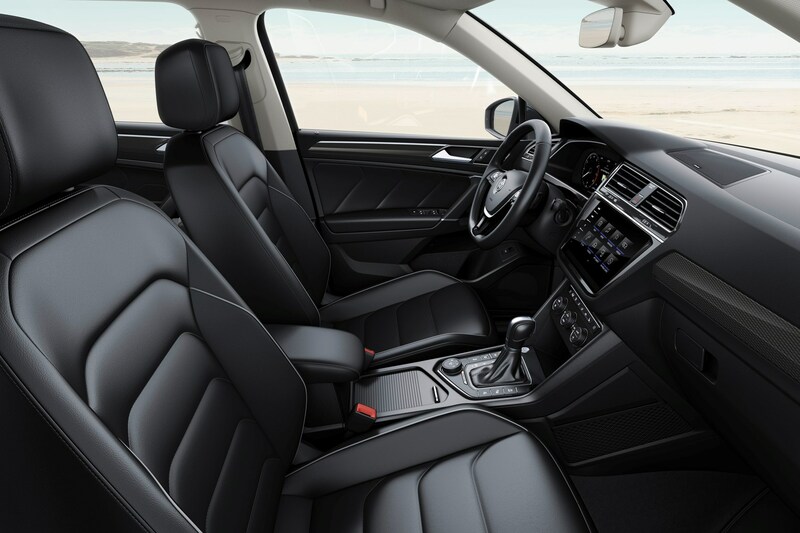 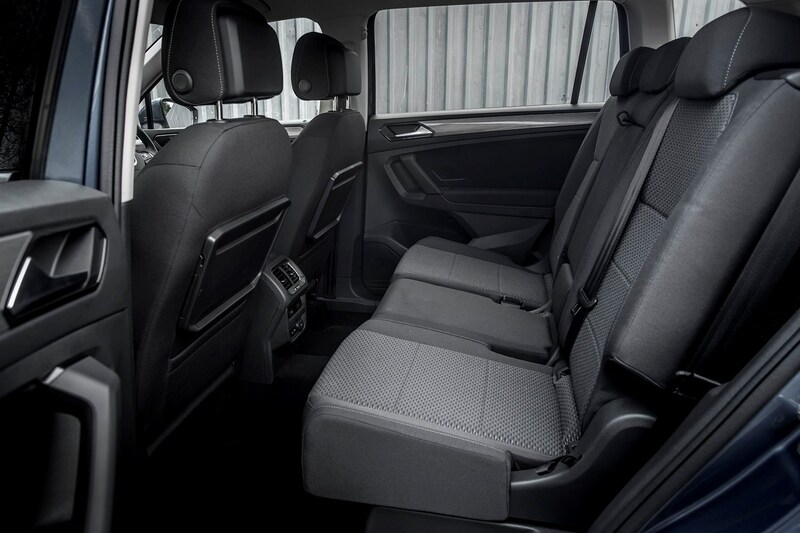 There's also 60mm more legroom for passengers behind the front seats, so even in five-seater mode the Allspace is a roomier vehicle than the standard Tiguan. 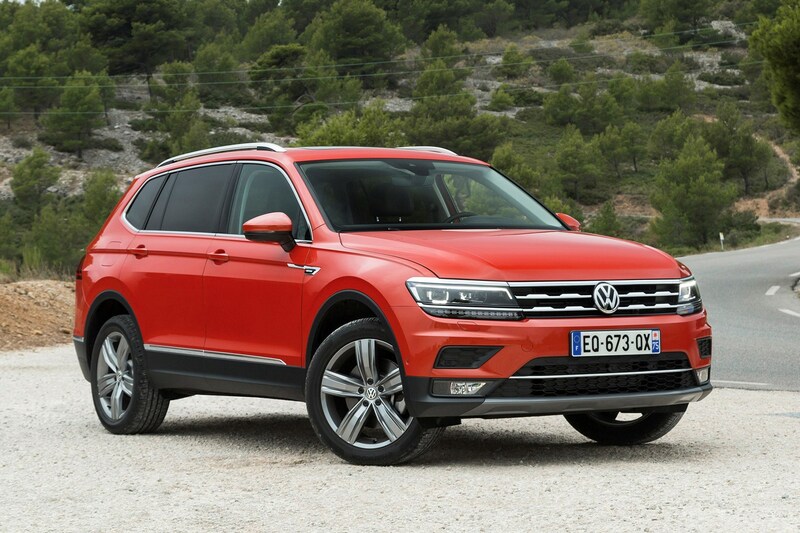 The Tiguan Allspace might be bigger, but it doesn't look it. 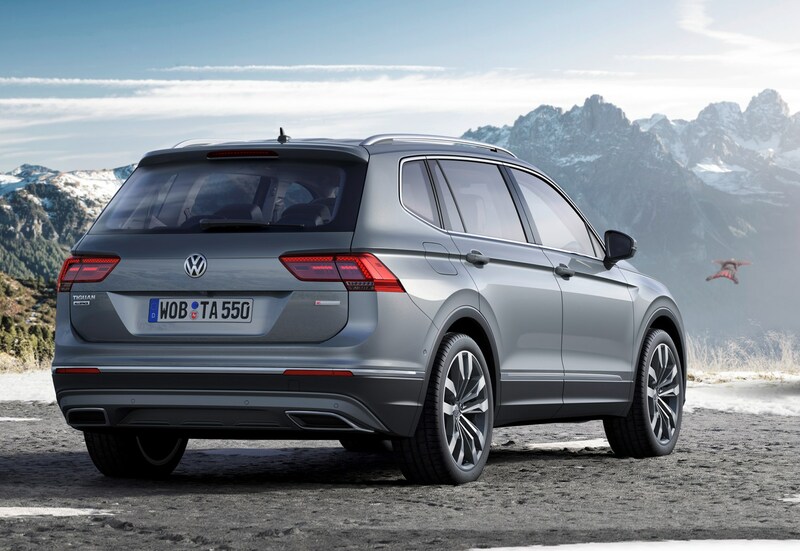 Even the entry-level version rides on 17-inch wheels, and some clever styling tricks have also been employed. 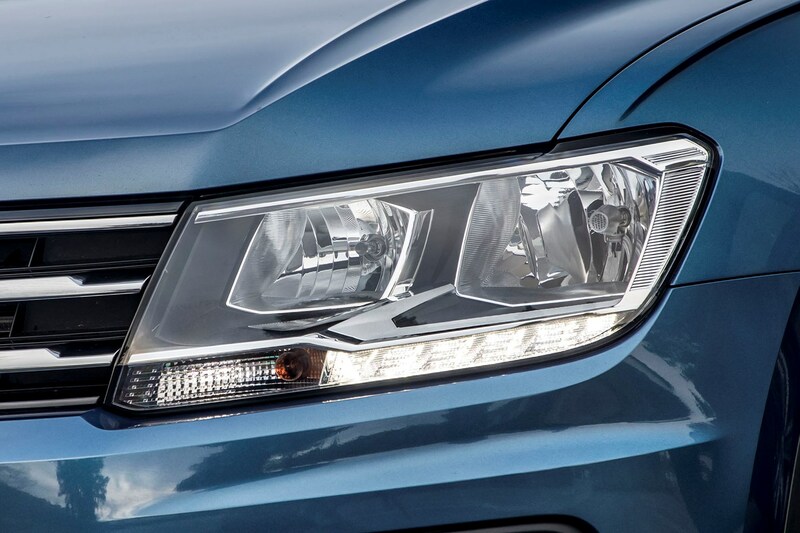 So, it has a different bonnet line, side window shapes and a new set of headlamps. 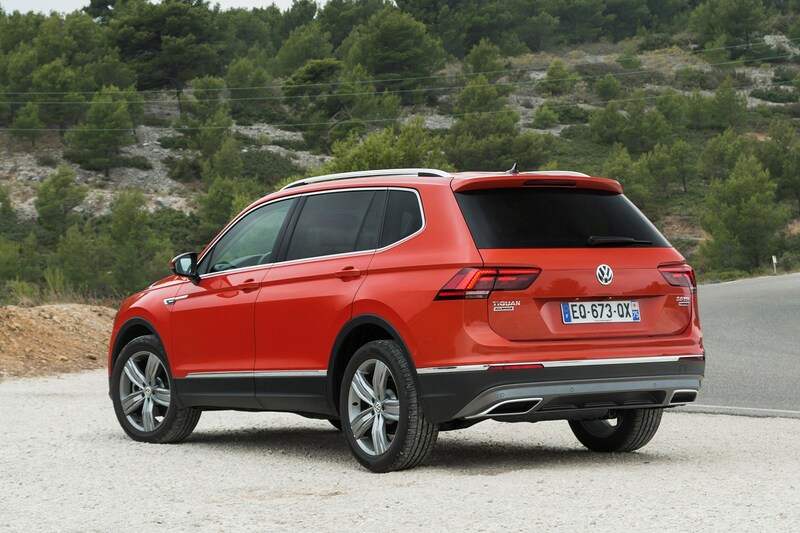 You can also specify it in faux-off-road form. 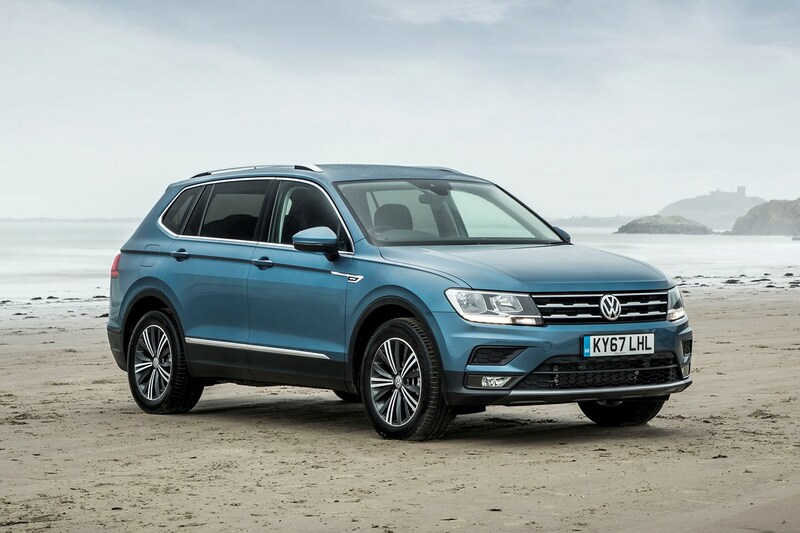 The Tiguan Allspace ‘Outdoor pack’ gets you chunky restyled bumpers, and additional protection on the underside of the car. 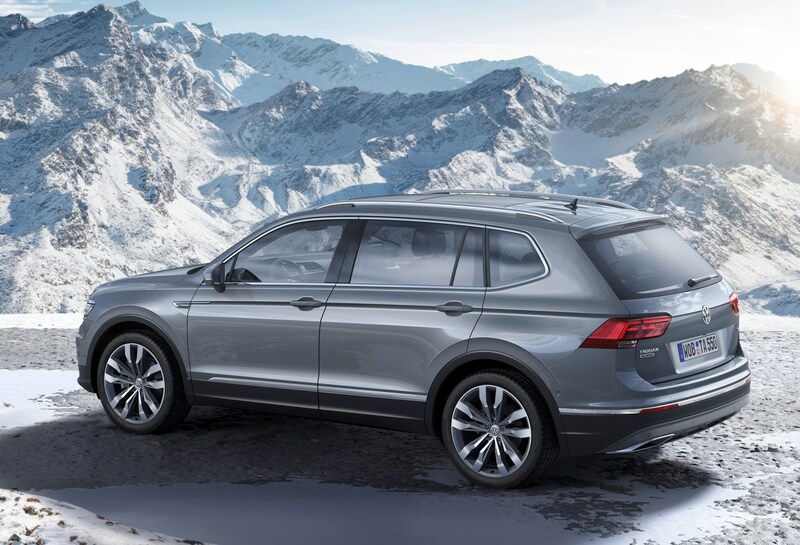 Given that it's available with optional all-wheel drive, it will at least back up those hunky looks with some genuine ability. 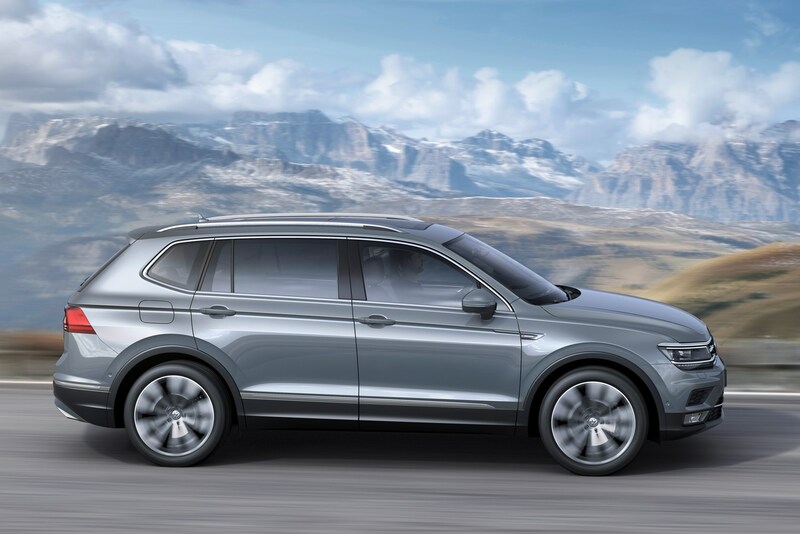 And in fact, VW is predicting that its 4Motion four-wheel drive system will feature on what's projected to be the most popular model - the 2.0-litre TDI 150hp SE Nav six-speed manual. 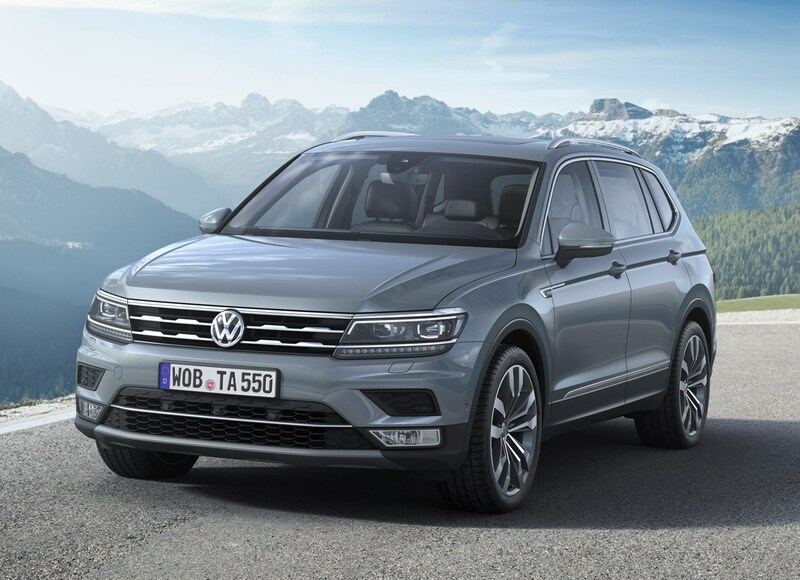 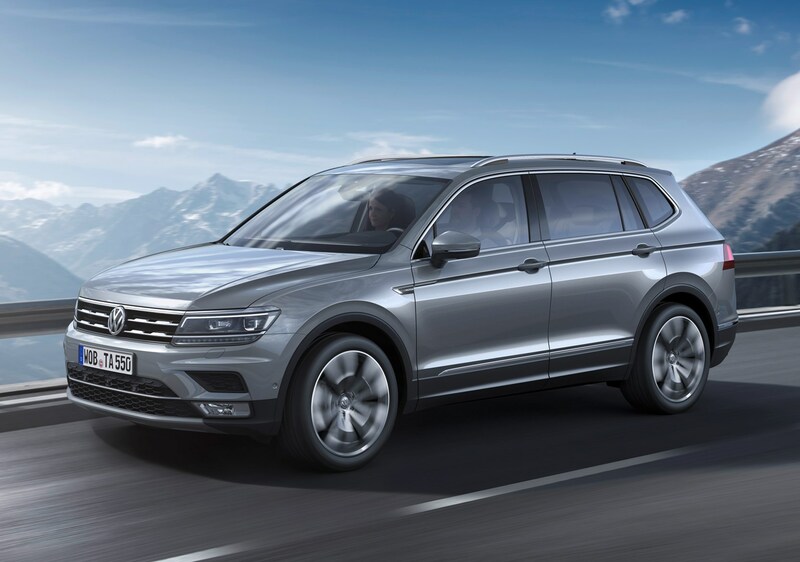 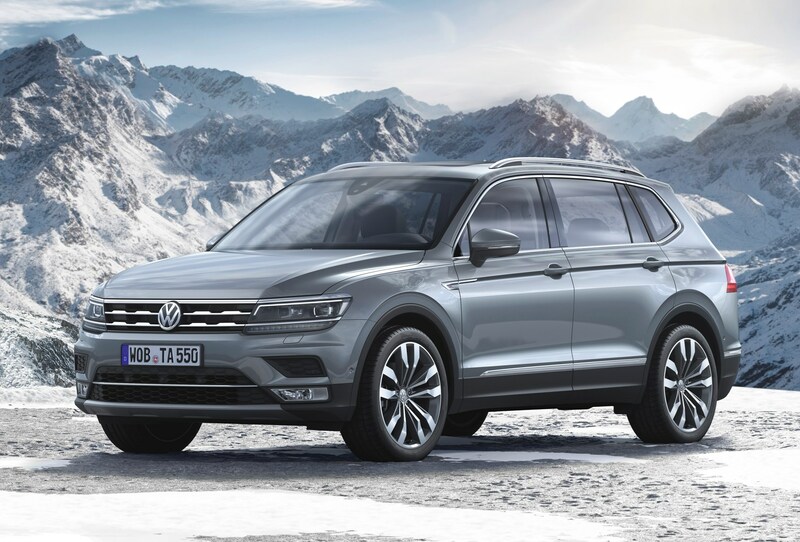 The Tiguan Allspace are offered with two TSI petrol and three TDI diesel engines, ranging from 150hp to 240hp. 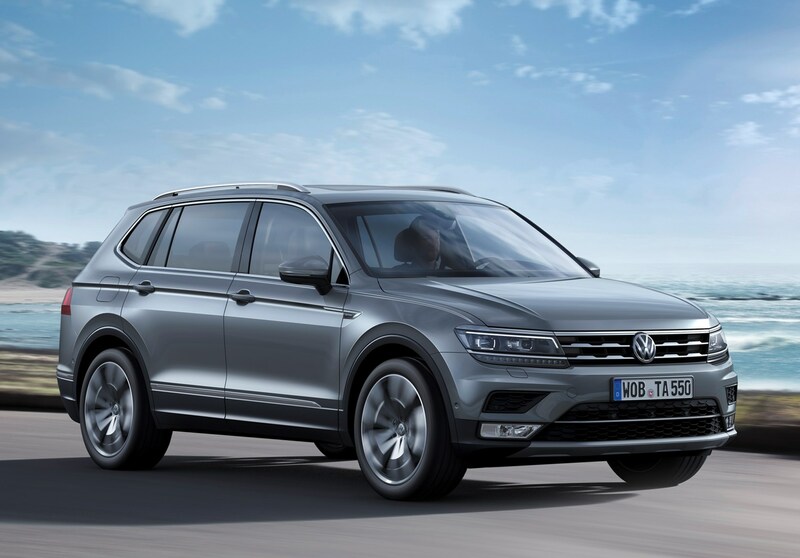 The two petrol engines are turbocharged, and are offered in 150 and 180hp forms, while the three turbodiesels develop 150, 190 and 240hp. 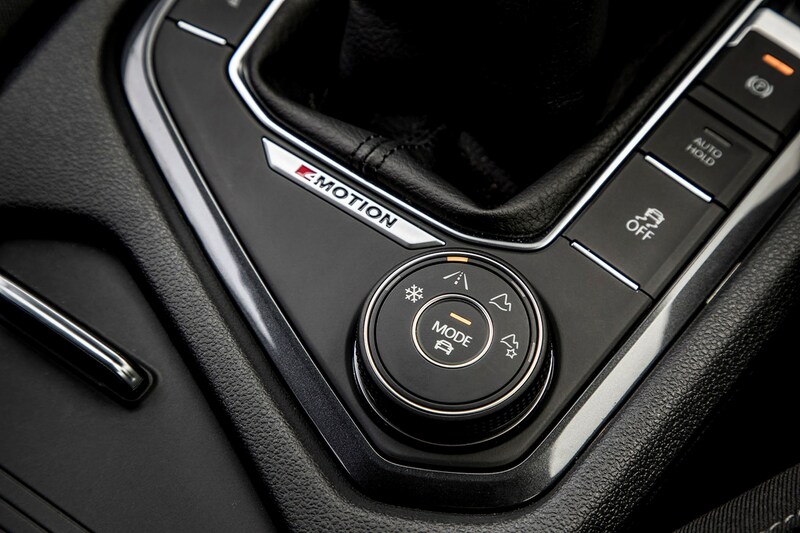 All are Euro 6 compliant, with the diesels needing AdBlue. 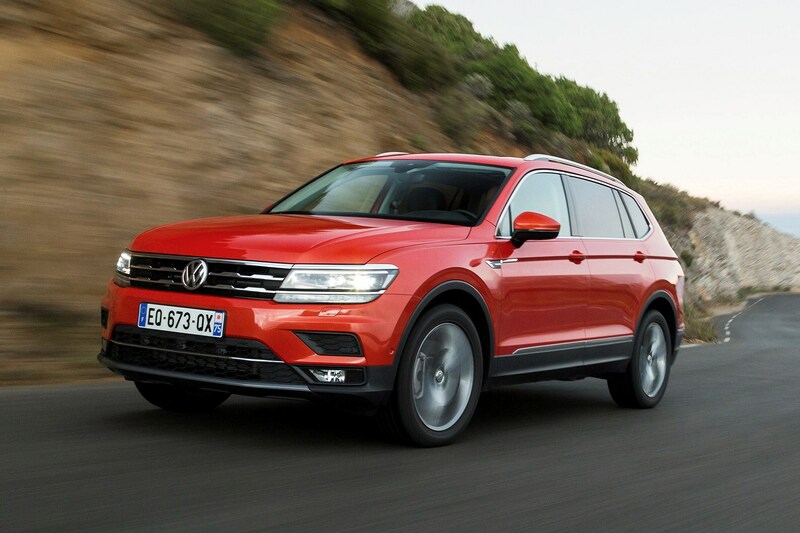 What's the VW Tiguan Allspace like to drive? 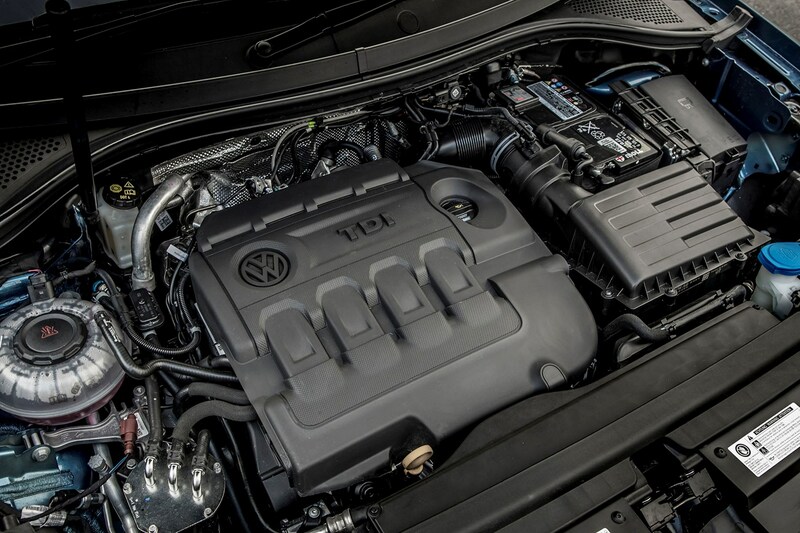 We've had a chance to sample two 2.0-litre TDI diesels so far - one with 150hp and the other with twin turbochargers, making 240hp. 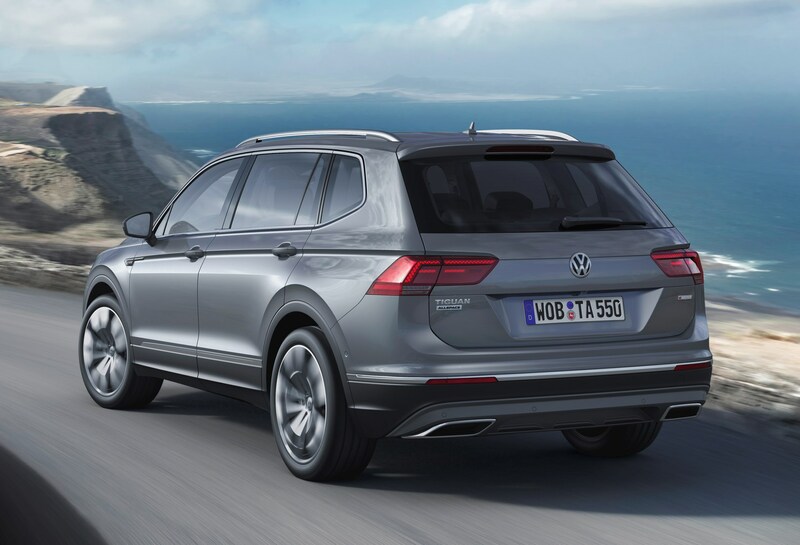 VW is expecting roughly 95% of Allspaces to be diesel. 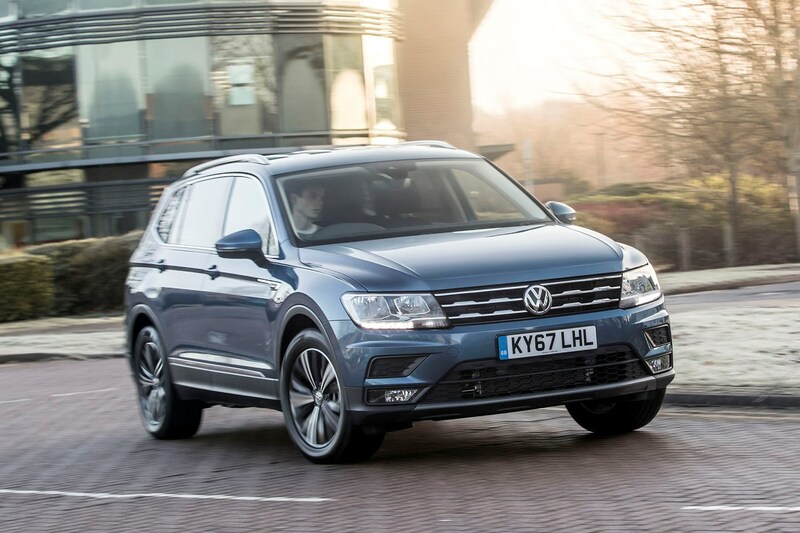 The former diesel engine, coupled with the manual gearbox, is set to be the best-selling in the UK. 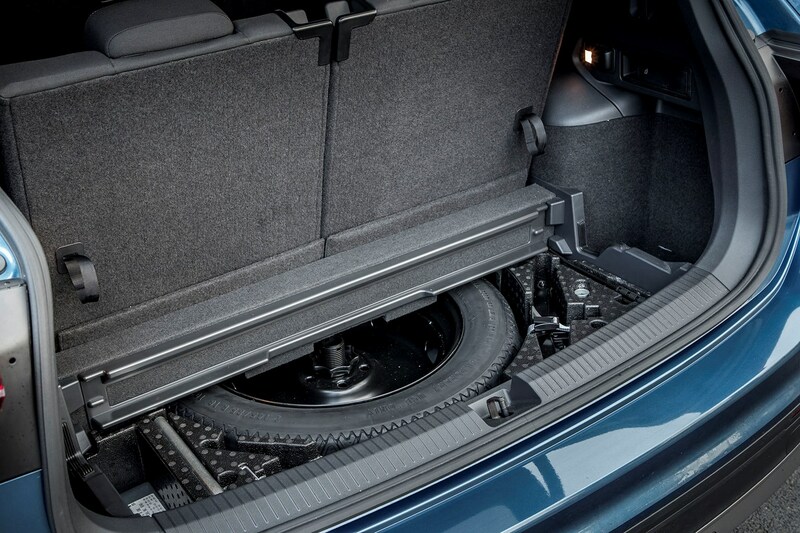 It’s a capable unit but one that could do with being significantly less noisy. 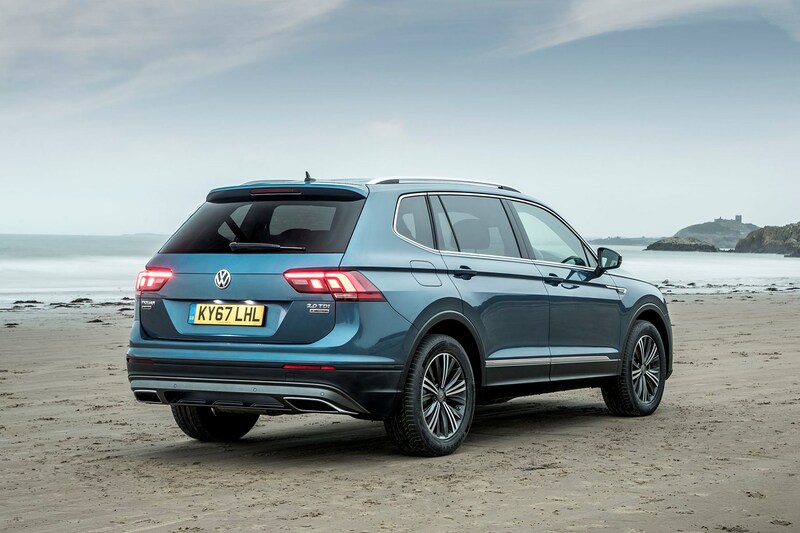 We couldn’t really tell the difference in refinement between this engine in the Skoda Kodiaq and Volkswagen Tiguan Allspace, despite the substantial price difference between the two. 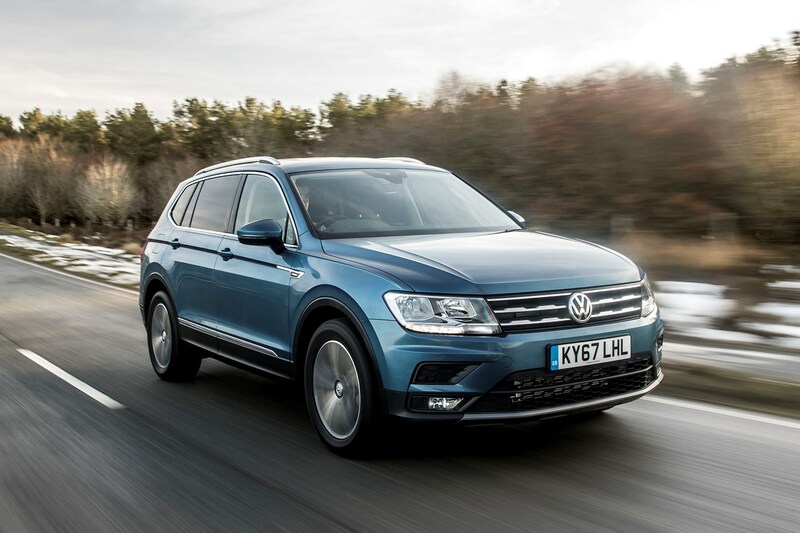 We enjoyed the 240hp diesel, which feels far punchier to drive – as you'd expect with so much extra performance. 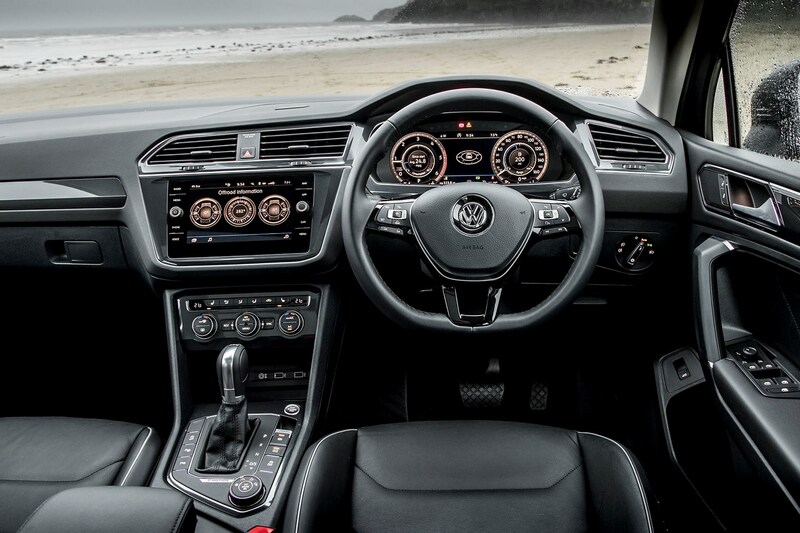 It's a lot more expensive than the base 150hp engine, however, and only available on top-spec trims to boot. 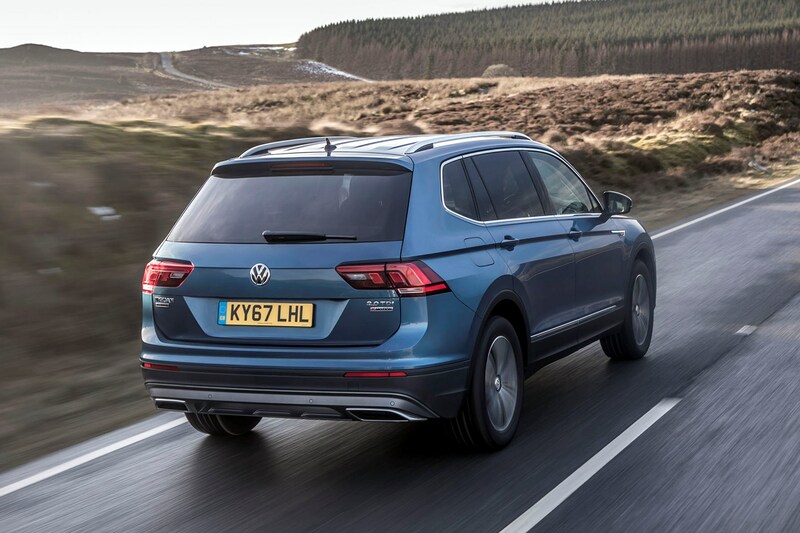 There's perhaps a very slight difference in the Allspace's handling - the extra distance between front and rear axles means it feels more solid and composed, especially when negotiating mid-corner bumps. 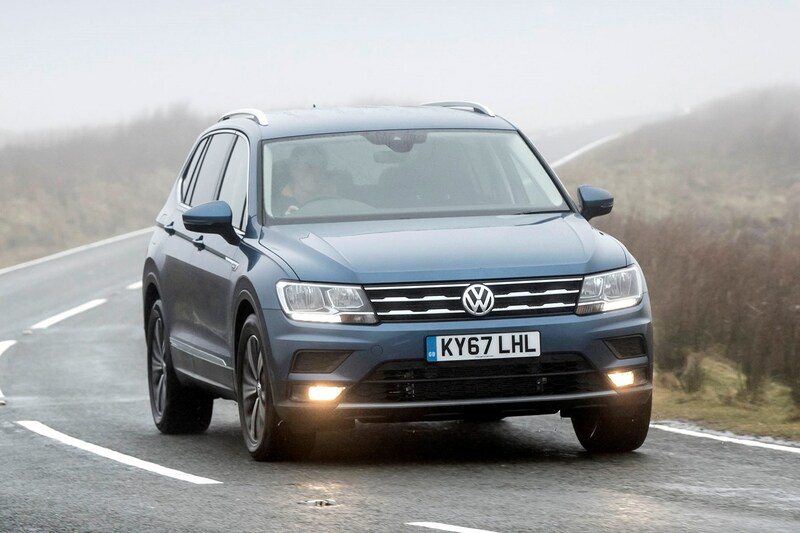 We’ve tried models with and without adaptive suspension fitted, and note that the latter deals with sharp ruts and potholes in the road with greater composure. 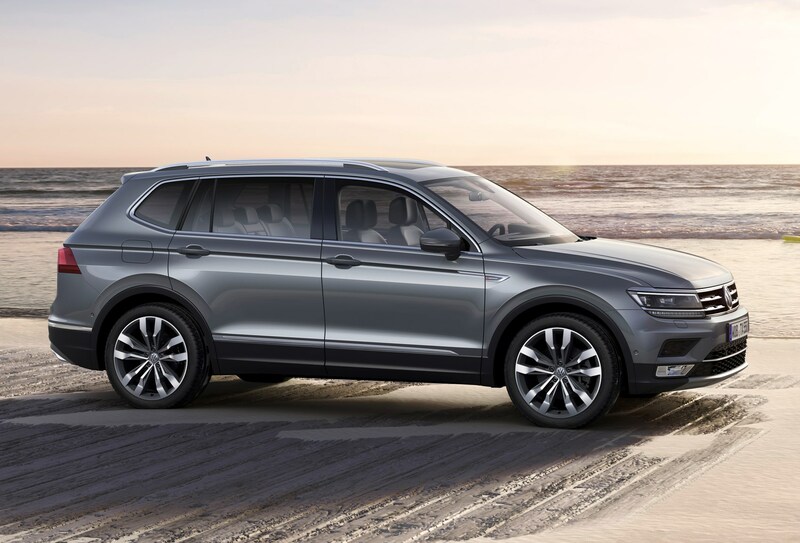 The extra length has brought about greater boot space and two extra seats in the Tiguan Allspace, however it’s still not enough to compete with the cheaper Skoda Kodiaq to which the Volkswagen is heavily related to. 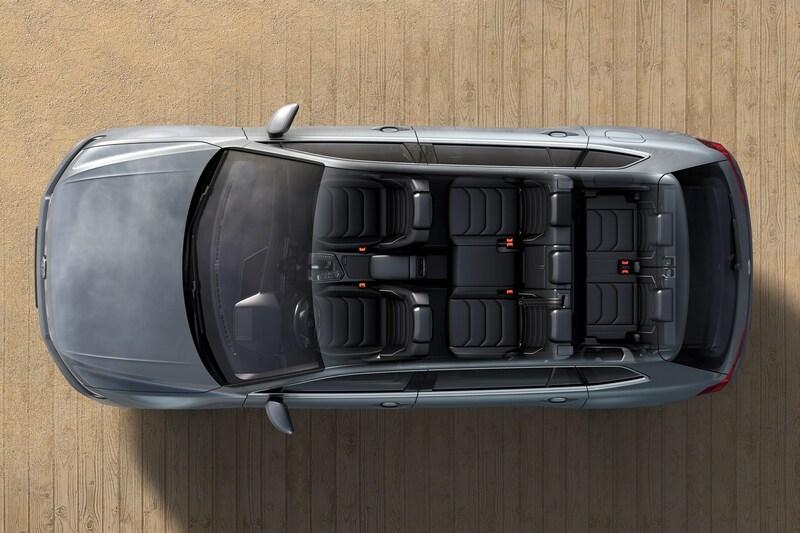 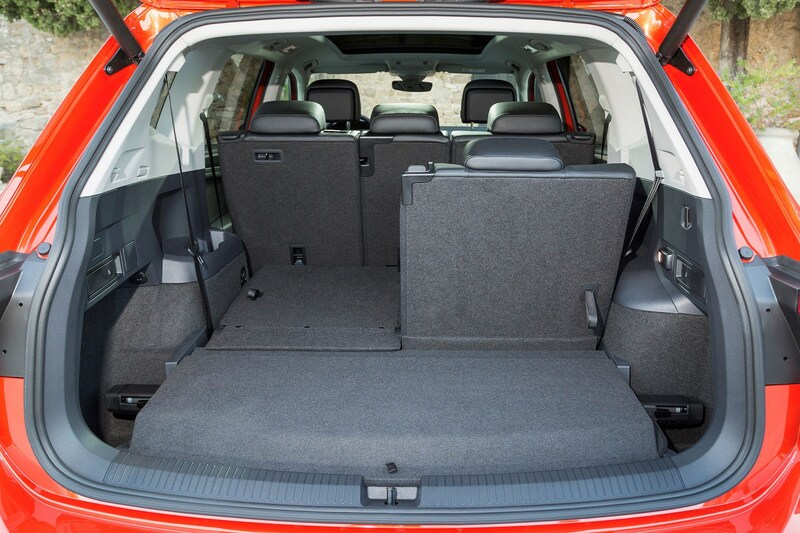 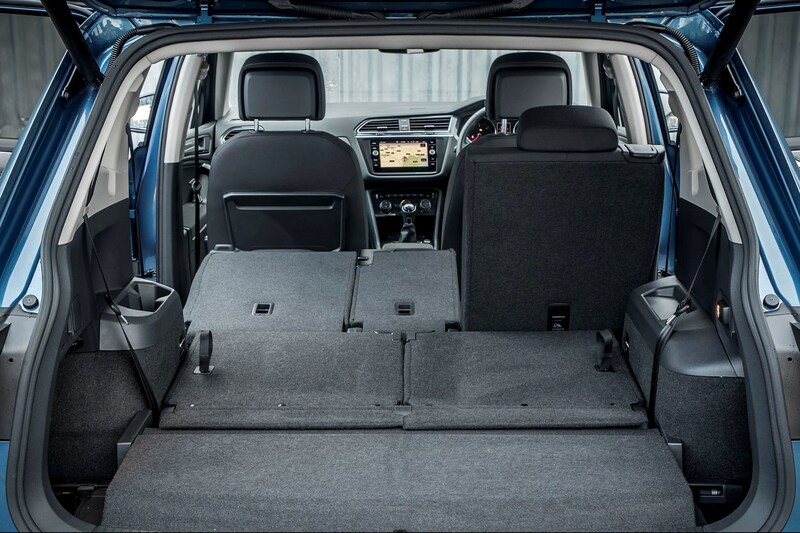 For example, the final row of seats isn’t quite as spacious in the Tiguan Allspace (they’re wholly unsuitable for anyone over 5’2”) and the luggage capacity with all seven seats in place also falls behind. 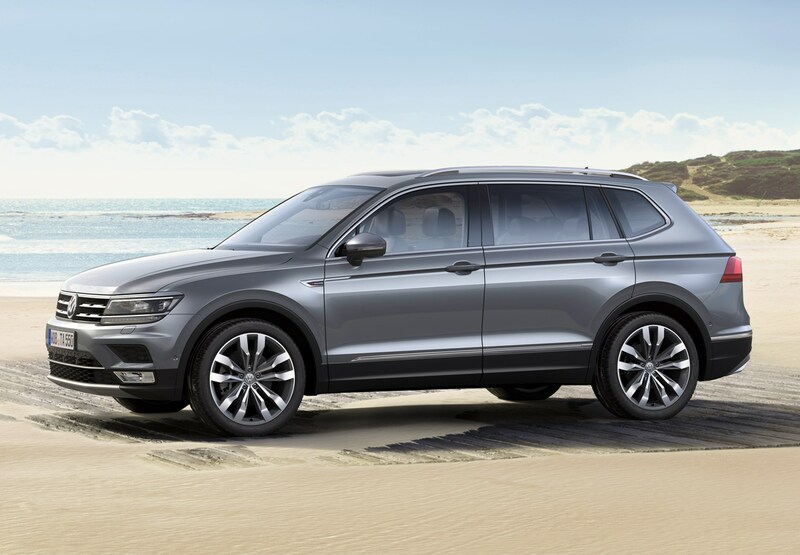 For those looking for a mid-sized seven-seat SUV, the Tiguan Allspace is an interesting proposition. 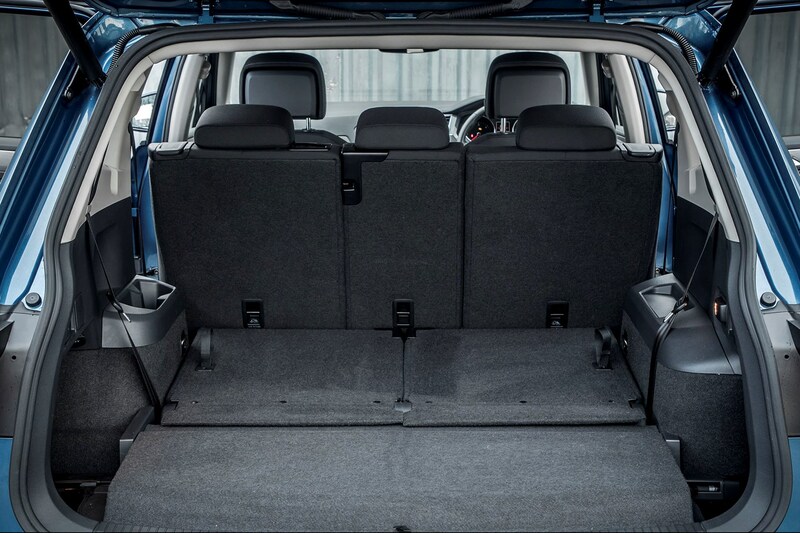 Its looks belie its additional practicality, and in many ways, it's a great option for those who want a seven seater that doesn't look like an, er, seven seater. 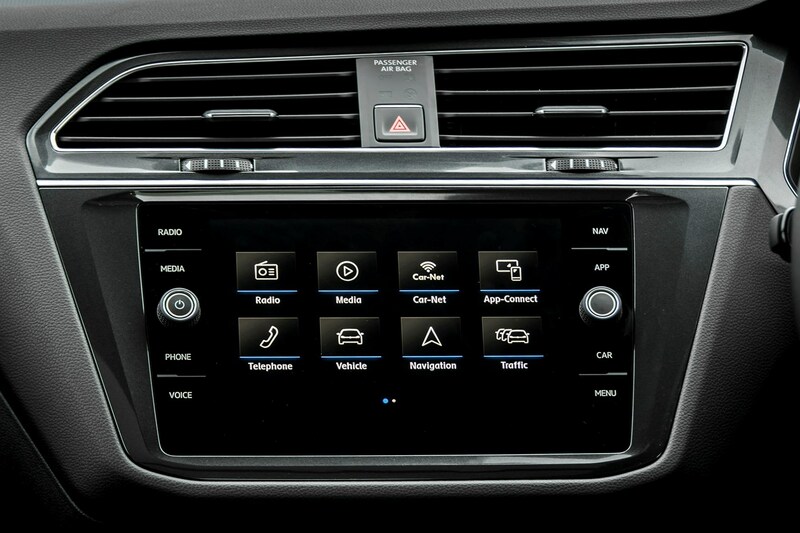 However, its biggest problem comes from in-house. 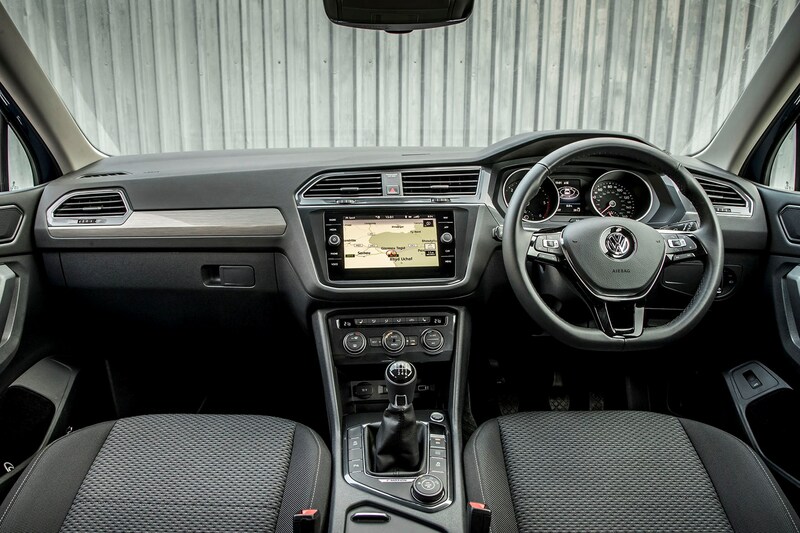 The Skoda Kodiaq is more practical and significantly cheaper, yet isn’t noticeably inferior to drive nor does it feel cheaply made. 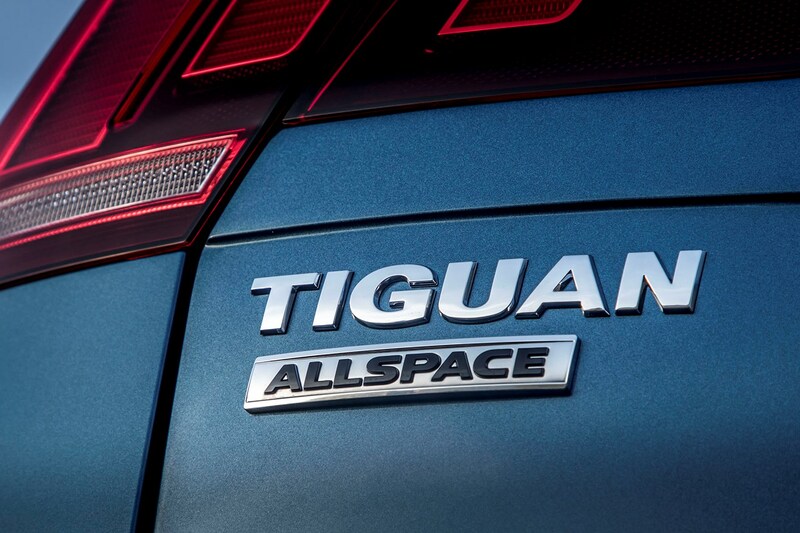 If you like the Tiguan but want a little more space, the Allspace is an accomplished car. 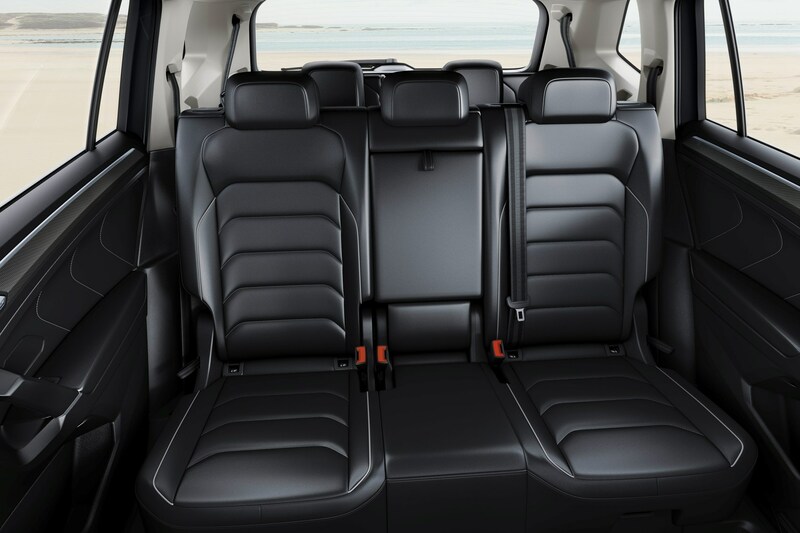 However, the Kodiaq is still the best seven-seater in this class.